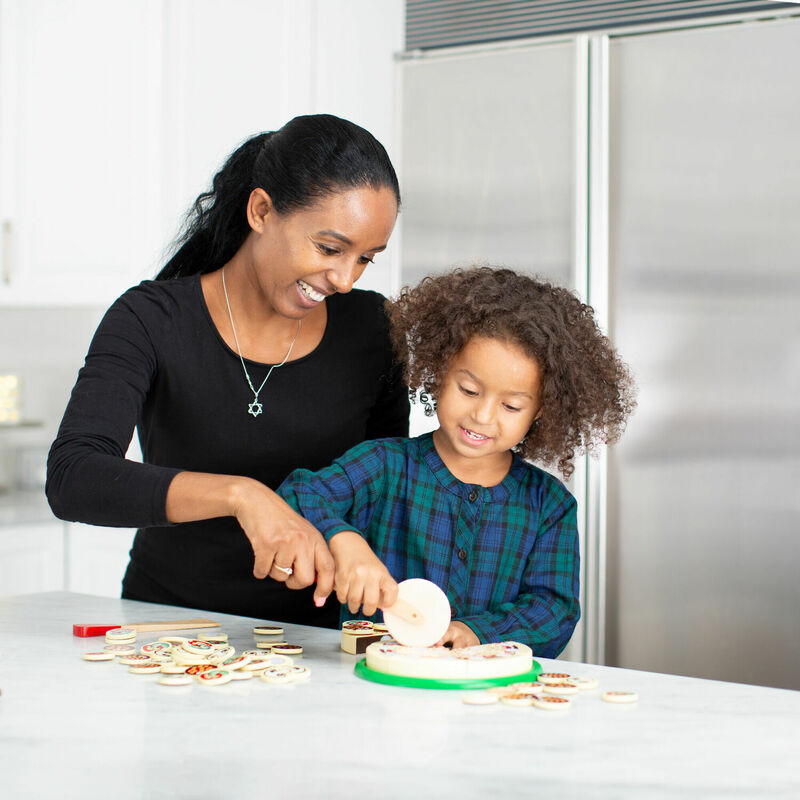 Create your own "personal pizza" with this sturdy wooden pizza set. 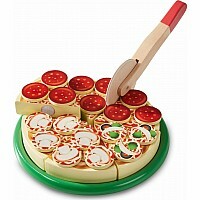 Six sliceable pieces served in a brightly colored tray, complete with a pizza cutter, spatula, and over 50 toppings that store neatly in a wooden box. 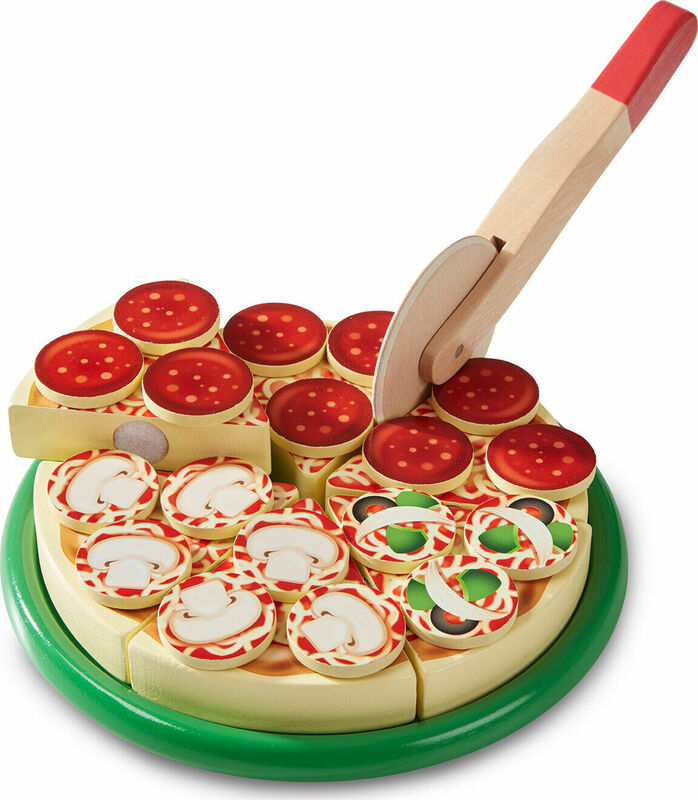 Pizza makes slicing sounds when cut! Measures approximately: 13.75 x 9.25 x 2.25 inches..